When you’re headed to your next DJ gig, you may only need an iPad in your bag. Built with the iPad Pro in mind, dJay Pro has 4 Decks, HD Waveforms and Video Mixing as well as a companion desktop app. On the back of its popular Mac App of the same name, dJay Pro for iPad lets you mix up to four audio tracks, as well as side-by-side 4K video streams. If you’ve got an iPad Pro, dJay Pro also works with the smart keyboard for cue points, looping, library navigation and search. The app also works with Spotify, iCould Drive and Dropbox to catalog music into a single library. A song recommendation feature powered by Echo Nest helps you find tracks that may flow nicely based on what’s currently playing. A video editing mode allows for real-time editing, and has transitions and other effects for more a polished look. If you want to get really contextual, dJay Pro lets you use the rear-facing camera on your iPad for personalized video creation. All videos are produced at up to 1080p at 60 frames per second. Tapping into iOS 9’s multitasking capabilities, you can even run dJay Pro alongside other apps. Algoriddim, the team behind dJay Pro, say it thinks DJs will “take notes about a tracklist or write down song requests on ­the ­fly” when multitasking. The app also works with controllers from Pioneer DJ, Numark, Reloop and others. 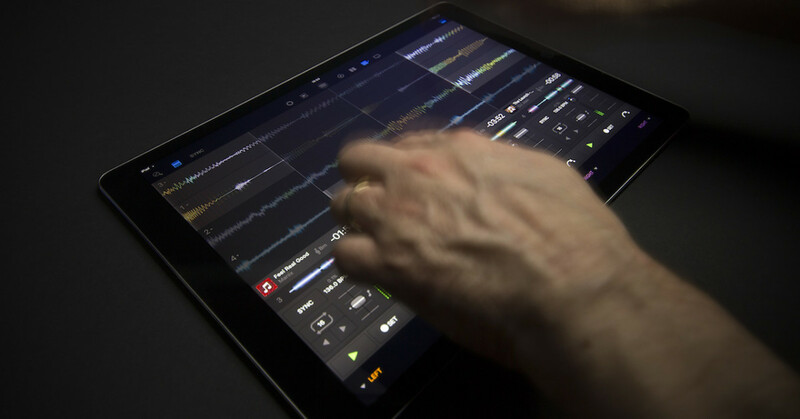 dJay Pro is a worthy competitor to the likes of Native Instruments’ much-respected Traktor, an app that first proved just how professional a DJing experience the iPad could provide. If you’re already using dJay Pro on the desktop, all existing in-app purchases of sound effect packs will transfer to the iPad app, too. The app is currently on sale for $19.99 in the App Store, and will settle at $29.99 sometime after launch. Read next: Win a Microsoft Surface Book!